(NaturalNews) Silicon Valley professionals are experimenting with psychedelics to help manage stress and stay focused throughout the day. Many are now speaking out anonymously about the positive effects of consuming a small dose of LSD or psilocybin every few days before they take on arduous mental tasks. Microdosing is a growing trend in the business world, as professionals seek a cognitive advantage to get through the day. When someone microdoses on a psychedelic substance, they use about a tenth the amount normally needed to experience a "trip." The small amount reportedly helps users get into a "flow state" which enhances mental focus, problem solving skills, and tolerance of others. According to interviews conducted by WIRED, many different professionals microdose on psychedelics, including mathematicians, biologists, publicists, and software engineers. One San Francisco publicist (who is going by the name Lily), says some days she measures out a small amount of magic mushroom using a tiny scale. She grinds the caps and stems up, pulverizes them, and puts them in empty pill capsules. "It helps me think more creatively and stay focused," she commented. "I manage my stress with ease and am able to keep my perspective healthy in a way that I was unable to before." Lily points out that consuming a small, infrequent dose of psilocybin is illegal for adults, but medical authorities can hook children on Ritalin and Adderall, two drugs with far more damaging side effects. She says she has been on Adderall for quite some time and would like to fully wean off of the drug. She says psilocybin has allowed her to lower her dose of Adderall. She prefers psilocybin because it isn't physically addictive and isn't destroying her liver like the prescription drugs are. 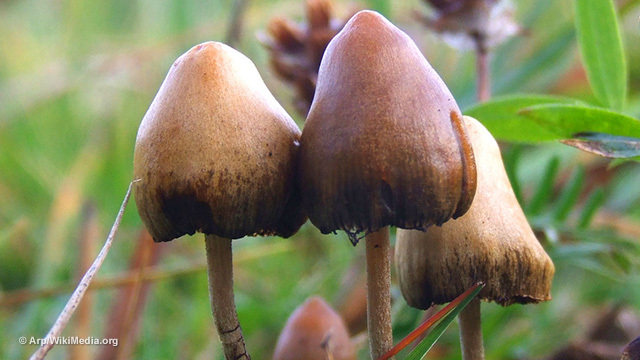 Dr. James Fadiman, author of the Psychedelic Explorer's Guide, sees microdosing with psychedelics as a better alternative than taking prescription drugs Adderall and Ritalin. He says that with microdosing, "You find the office jerk bearable and you're more compassionate about the flaws of others." Fadiman obtains his research from self-reported volunteers who self administer the drugs and keep a journal of their observations. Fadiman says people are microdosing to help deal with the side effects they get from prescription drugs. Fadiman also says the drugs also help with creativity, stress management, and perspective. "People report enhanced pattern recognition. They can see more of the pieces at once of a problem they are trying to solve." David Nutt, director of the Centre for Neuropsychopharmacology at Imperial College London has studied images of the brain on both LSD and magic mushrooms. When the drugs are used at large doses, they change the cortical functions of the brain, "making them more fluid and less rigid." With lower doses the brain may become more flexible to better handle a series of cognitive tasks. David Nichols, professor of pharmacology at Purdue University, Indiana, says that LSD stimulates the cerebral cortex and dopamine pathways in the brain in ways similar to Adderall and Ritalin, where perception and sensation are affected the most. Over time, however, the perceived benefit of any brain-altering substance is going to wear off. Being dependent on any substance, for any kind of benefit, ultimately has its downfalls. One LSD user reported sensations that were so intense; he wishes he "could turn it off for a moment to relax." Other users report uncomfortable sweating while they are working. Some users report increased anxiety and migraines. In a 2011 study, when Professor David Nichols administered a microdose of LSD every other day to rats for three consecutive months, he noticed that the animals began experiencing aggressive, hyperactive behaviors. The circuitry in their brains changed drastically over time. Nichols warns that consistent use of these drugs "may bring about subtle behavioral and hormonal changes that we don't yet fully understand."